Daily Debate: Which Song in the Zelda Series Do You Think is Most Useful? It’s safe to say that during his quest to save Hyrule, Link has had his fair share of useful items and gear to take advantage of. From the Master Sword, to the Hylian Shield, and even spells from Great Fairies, to those ever useful Ancient Runes, each item has made Link’s adventure a little more exciting, and sometimes even a little easier! There is one tool that I believe stands out from the aforementioned items though, and that is the tool of music. 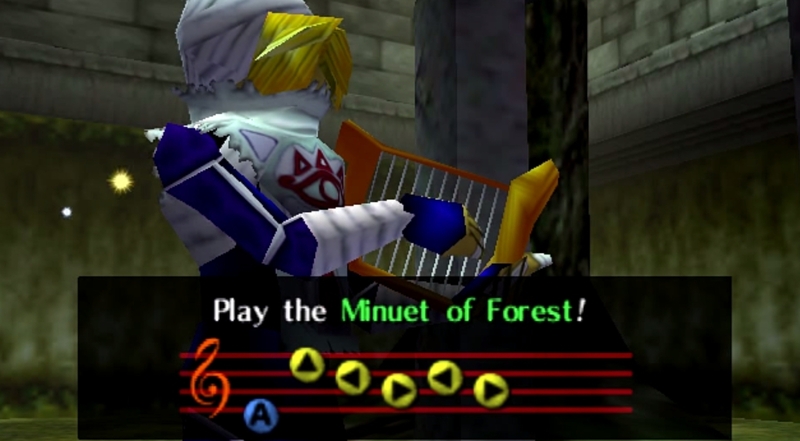 Throughout the eras, Link has used musical instruments to traverse time, manipulate the weather and even to warp to other locations. Some songs have enabled Link to create body doubles, others have summoned animals, and certain songs will gain you special treatment or access to areas otherwise inaccessible. For me, the most useful song in the Zelda series are those that allow Link to warp to other locations. The warping songs, such as the Minuet of Forest from Ocarina of Time, and the Song of Soaring from Majora’s Mask, really came in handy when I had to keep returning to different temples or regions of the land. Ultimately, the Ballad of Gales from The Wind Waker takes the crown though, as navigating the Great Sea became painful after continuously having to do it over and over again. If you had to choose, which song from the Zelda series do you find most useful? Let us know in the comments below!